Enhance your visit of the international show of road and urban transport solutions thanks to our mobile app! Create your personal exhibitor and event list that will appear in the "My visit" section of your mobile app. 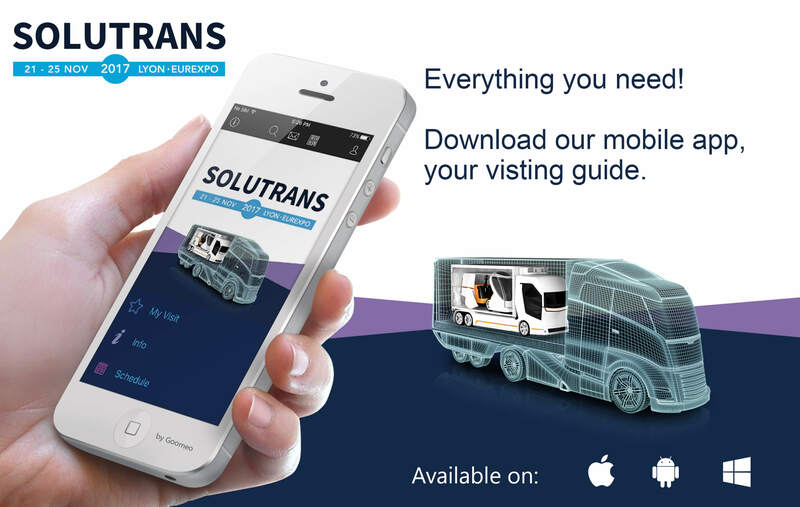 The SOLUTRANS mobile app is available on iOS, Android and Windows and will often be updated until the beginning of the show.